We follow the English National Curriculum 2014 throughout Year 1 – Year 6, with EYFS following the Early Years Framework for Literacy. A range of resources are used by teachers to support teaching and learning, such as schemes of work created by Rising Stars for punctuation, grammar and reading comprehension. All children in KS1 are heard read three times a week. We encourage parents and carers to read to their child nightly. Class teachers select an appropriate reading book to support and encourage parents and carers to do this. A blue reading diary is also provided for parents and carers to record comments and observations about their child’s thoughts, discussions and reactions to the book they have read together. In KS2, we encourage children to read at home every day, for at least 20 minutes. Books may be taken home from their class book corner or from the school library. A blue reading diary is also provided for parents and carers to record and confirm that reading has taken place. 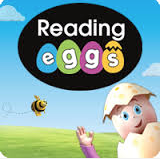 All children receive log-ins for ‘Reading Eggs’: an online learning platform. Children may access the website at home, and in cases where children do not have internet access, they are encouraged to visit the website during the school day. Reward schemes are in place in each class, to encourage children to read outside of the school day. Reading comprehension is taught from year 2-6. This involves high-quality ICT resources to explore both non-fiction and fiction texts from popular authors such as, Roald Dahl and Michael Morpurgo. We use the phonics scheme, ‘Read Write Inc.’ to support the teaching and planning of phonics. This scheme is designed for 4-7 year olds learning to read and for 7-8 years olds needing to catch up quickly. Phonics is taught daily in 30-minute sessions. Children are placed in small groups, and are regularly assessed and moved groups according to their reading development needs. By the end of Year 1 we aim for all children to be accurate and speedy readers. We have adopted Pie Corbett’s steps for writing. High-quality, engaging texts are selected as inspiration for writing, and children are immersed in this text. Immersion may involve story mapping and oral retelling. Following this children begin to imitate aspects of the text and then when ready, create their own version independently. We use progression documents created by ‘Talk for Writing’ alongside our assessment system, Learning Ladders, to ensure progression and coverage in each year group. Grammar and punctuation is taught within writing lessons, with most lessons beginning with a 10-minute skill starter linked to the focus text. The skills taught are based on the National Curriculum 2014 expectations. Spellings are taught from year 2-6. In year 2, spellings are taught daily in 15-minute sessions, so as to cover the National Curriculum requirements. From years 3-6, spellings are taught across three 15-minute sessions, a fortnight. Alongside the spelling sessions, children are given spelling lists to learn with a spelling test once a week. To support teachers, ‘No-nonsense Spelling’ programme has been implemented from Years 2-6. This programme offers guidance for teacher, rather than prescription and ensure clear progression throughout the school. Handwriting is taught frequently and for short periods. Handwriting lessons will involve a range of activities including: demonstration of letter formation, tracing, and development of fine motor control, practise and dictation. English Appendix 2 - Vocabulary grammar and punctuation.